Apple PowerBook G4 disassembly DIY PowerBook G4 tear down. with the exception of the 2 top alan head screws, from here on out it is not totally smooth sailing but you should be okay. Flip the laptop back over and start in on the top. 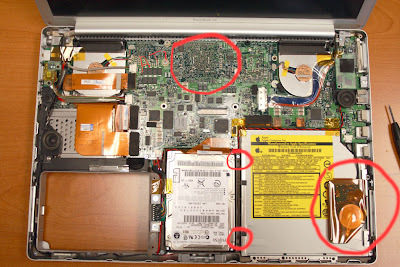 Now that all of the screws are out you can proceed to lifting the top chassis off but don't just try to rip it off just yet the keyboard ribbon cable, track pad and power are still attached, as well as there are metal clips holding it in the front by the optical drive and the latch release. 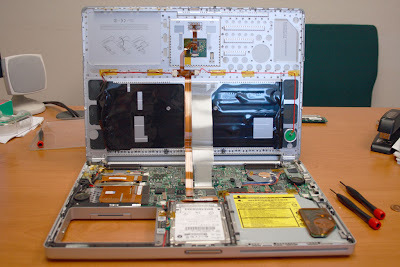 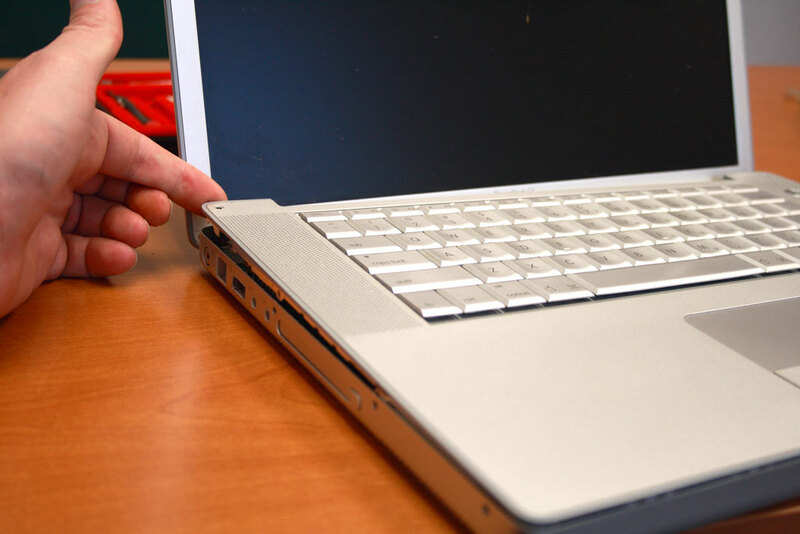 Tilt the top chassis back up against the LCD panel .. now you can get to the keyboard and trackpad ribbon cable .. 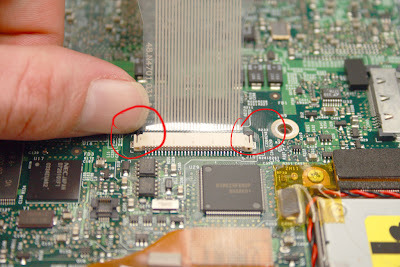 Here is the other side of the connector ... as well I have noted the hard drive connection if all you want to do is replace the hard drive. 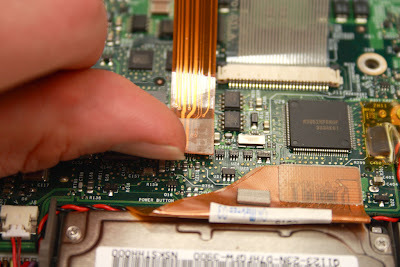 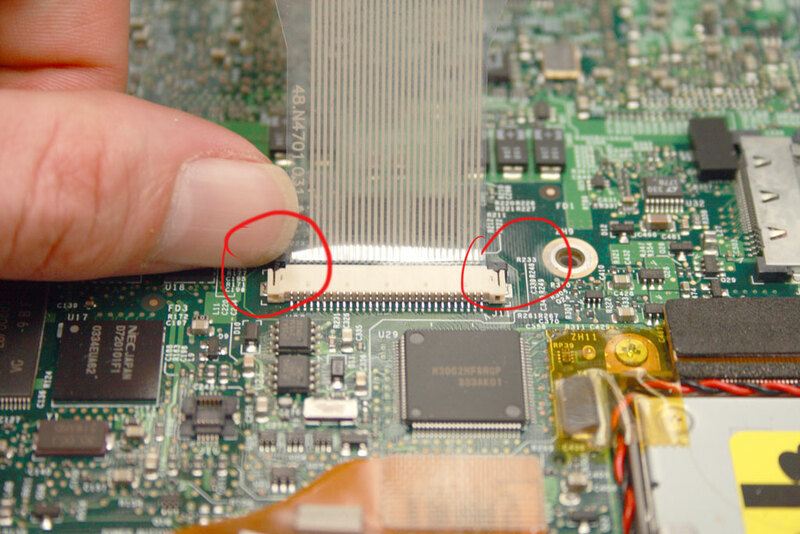 there are clips on either side of the keyboard ribbon cable the need to be pushed up to release the cable from the LogicBoard. place the top chassis in a safe place now that it is free.... and now here is what you have... you have full access to the hard drive.. the screws have been circled if you want to remove that now. 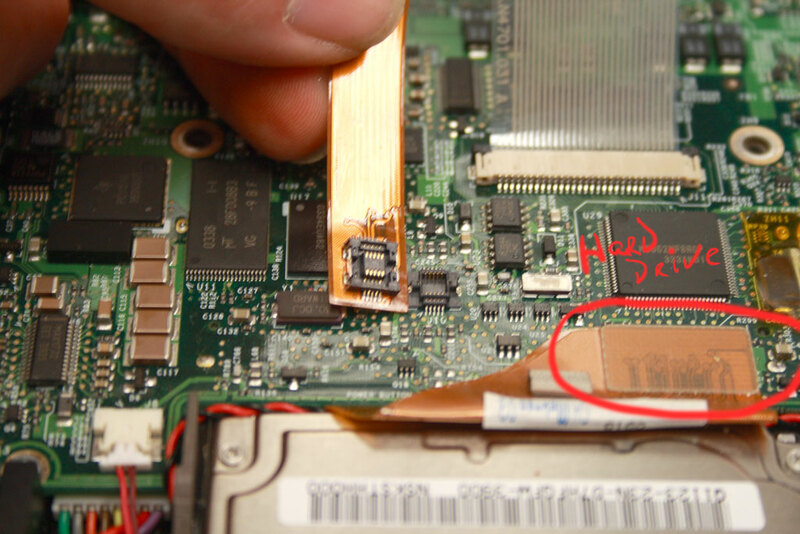 as well the NVRam Battery if you need to replace that. 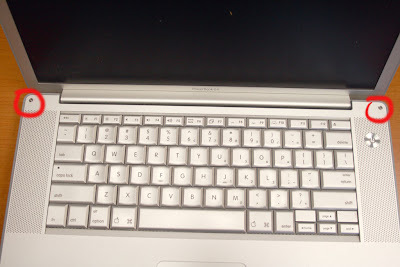 thats as far as I go on this one .. hope this helps someone.